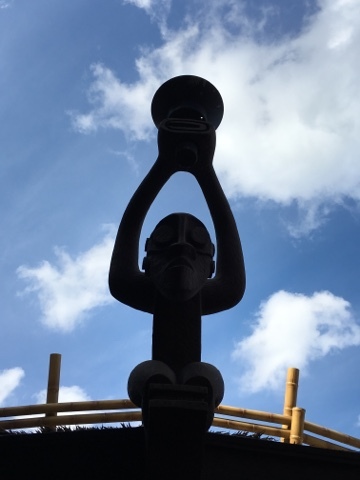 This Tiki statue sits atop the roof of Aloha Isle in Adventureland. I was standing near the exit of Walt Disney's Enchanted Tiki Room when I snapped this shot. I like the silhouette effect that was created by the background sky.